Another year has come and gone and we have seen so much happening, not just in Victoria Falls, but in our country Zimbabwe as well. Of particular importance was the surprise not-a-coup that took place in November of 2017. It had us all apprehensive since the Zimbabwe we have known so far has been characterised by (sometimes violent) intimidation. 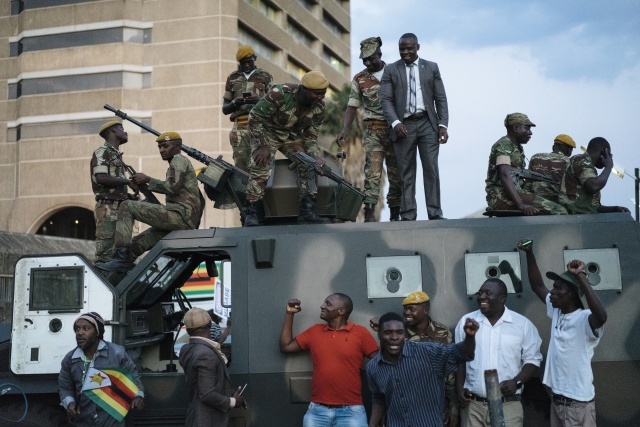 There was such peace all around and even when the people of Zimbabwe took to the streets to make their voices heard, the army was there to make sure that peace was maintained. After the dramatic change in atmosphere and in the government, there is still quite a bit of work to be done. Even now, there is shifting in the political arena. We continue in the hope that new policies will help to restore the country to it's former glory. A very big thank you to all who kept in touch and were wishing us well during this nail-biting and historic time. Meanwhile, the cash shortage in the country is ongoing, although we can do our shopping with plastic money. Credit cards and local bank cards are accepted at major shopping places and restaurants. In Victoria Falls, hotels and some lodges do take the major credit cards. One of the local taxi companies also take cards. However, for things like national parks fees, paying other taxi cabs, and visa entry payments, we advise that visitors carry cash. We have gone back and forth with stories of the univisa running out and coming back into circulation over the past few months. At the moment, the visas have been distributed to the different immigration centers in both Zambia and Zimbabwe having ran out for a few days after the new year period. After being in the works for about half the year, the proposed US$30 Botswana Tourism Levy was scraped from implementation. For more on this story, read this. Since Saf Par in Zambia removed the elephant back safari activity, Victoria Falls operator Wild Horizons has followed suit, and beginning this year, they will no longer be offering Elephant Back Safaris. Alternatively, you can experience elephant encounters both in Zambia and Zimbabwe side of the Falls. In Zambia, The Elephant Cafe experience offers a jetboat ride, elephant interaction and fabulous gourmet meals on the side of the Zambezi River at an elephant sanctuary. In Zimbabwe, you can learn about the orphaned elephants at the W Horizons Wildlife Sanctuary as well as walk with them in the bush, or sit under the tree and try to catch the gentle giants on canvas. 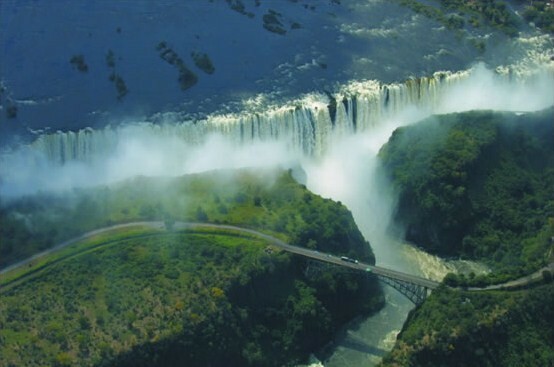 Victoria Falls now has the first ever truly African themed Escape Room in the world. The activity has been described as "great fun" and a "total blast". It is a good activity to do with the whole family (probably not for the very little ones though). It it located right in the middle of town centre. Contact us for bookings. As of the 9th and 10th respectively, rafting has moved to High Water run and the Devils Pool is closed until the Zambezi River recedes. The Angels Pool is still open until the water gets too high. The Lookout Cafe, that restaurant that is located right at the edge of the gorge, has begun serving dinner - adding on to dinner options in the Victoria Falls. Our previous destination update mentioned Old Drift Lodge was scheduled to open at the beginning of this year. However, the new opening has been moved to April 2018. Victoria Falls Safari Club will be adding new facilities and so they will be closing until the middle of February 2018. They plan on adding a swimming pool, sun deck and a new restaurant - exclusive for club guests of-course. The Stanley and Livingstone Hotel is now undergoing a major revamp and will be not be taking guests in until August of this year. For alternative accommodation options, contact us. We also mentioned a new lodge opening in the residential area this year. In February, we will be welcoming a new bed and breakfast lodge in Victoria Falls. Watch our Facebook Page. So What About That Houseboat? The African Dream houseboat which passed through Victoria Falls on it's way to the Chobe River ended up spending a couple of weeks at the Kazungula Border and was not allowed entry onwards to Namibia. Eventually, it headed back on the highway and arrived in Kariba last month where it will be making it's home. That is all for now, and we would like to take this time to wish you a prosperous and unforgettable 2018! Don't forget to follow us on Facebook if you aren't already.